Welcome to the Wattpad Block Party - Winter Edition IV! Round SEVEN of this popular event is coming your way the entire month of February 2018 and it's going to be epic! The invites have started to roll out and everyone from your all time favorite Wattpad Super Stars, to USA TODAY Bestselling Authors, to talented up and coming writers are joining us! Check out the first chapter for a more detailed description and keep an eye out on the Line Up chapter to see who is going to be featured for the Wattpad Block Party - Winter Edition IV! Curious how this event will run? Here's the link to the last Wattpad Block Party: https://www.wattpad.com/story/112942839-wattpad-block-party-summer-edition-iii-august-2017 Be sure you add this story to your library, vote and leave comments on your favorite author's posts, and follow me, @KellyAnneBlount, for Wattpad Block Party updates! AMAZING COVER PROVIDED BY, @TinHoverCarInIce! 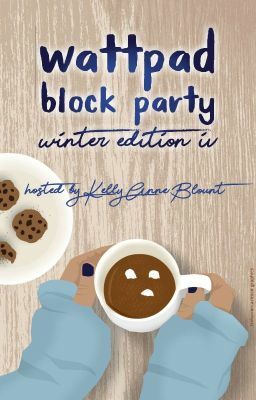 What Is the Wattpad Block Party - Winter Edition IV?